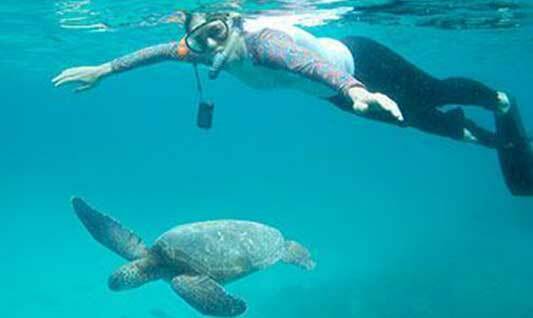 For your next vacation, Galapagos Travel Center offers you a great variety of tour options to the Galapagos Islands as well as on the mainland of Ecuador. Just choose whatever suits you best! If you want to see as many islands as possible in a self-chosen amount of time, you can opt for one of our cruises. If you prefer sleeping on firm ground, you can also choose one of our hotel-based tours on the Galapagos islands or the mainland. Are you fascinated by the marine life in the archipelago? Then go for our diving tours. For adding some more sports, you can opt for our adventure tours. Cruises are the most popular choice to tour the Galapagos Islands. 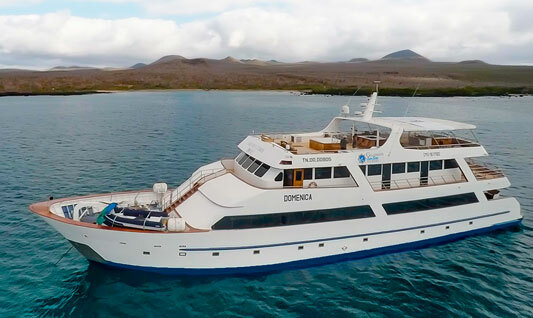 Galapagos tour cruises range from luxury class to economy class boats. Taking a hotel based tour in the Galapagos Islands provides the chance to explore the islands in their entirety through a number of tours and activities. See whale sharks and large schools of hammerheads in a live-aboard or hotel-based diving tour. Take a land + dive combined nature tour for the full nature vacation experience. Adventure travel vacation packages include activities such as kayaking, mountain biking, horse riding and snorkeling. These adventure tours are perfect for active travelers. Search & Book your Galapagos Tour! Which kind of Galapagos tour is best for me? Discovering the Galapagos and enjoying the vacation of a lifetime, has never been easier than with the help of our Galapagos experts. Thanks to our years of expertise, we have combined the best land tours, and offer the best cruises in the Galapagos. But wait… what is the difference between a land-based tour and a cruise? There is not a lot of difference between a Galapagos land-based tour and a cruise. Considering that the visitor sites will be almost the same as long as they can be reached within a couple hours from your hotel, wildlife will be the same and the experience will be the best of your life. Nevertheless, and considering the questions that this may arise, we have prepared these FAQs about the difference between these kinds of tours. Which is the cheapest way to visit the Galapagos? All of the cruises are all-inclusive, which means that inside the rate everything will be covered, from the meals, drinks (save for alcoholic beverages), to the guided-excursions, night accommodation, and inter-island transfers. On the other hand, land-based tours not always have everything included in the rate, meaning that most dinners will have to be covered by you, apart from the per person expense of the daily tour and transfers, which does not necessarily means that hotel-based will be more expensive. Will I see the same visitor sites? Most of the visitor sites seen in both tours will be the same. However, due to cruising time, boats are able to reach some islands that cannot be seen on a land-based tour. This happens because most of the traveling while onboard a cruise occurs at night. Therefore, while you sleep the vessel can reach longer distances. Is a cruise as comfortable as a hotel? This is a tricky question. When choosing a good vessel, like the ones suggested by our Travel Experts, you will be comfortable while cruising, anyhow, sea roughness has to be always considered. On the other hand, and indisputably sleeping on land will always be stable and comfortable. Where does the tricky part come? Transferring between islands occurs aboard speedboats, which can be a really bumpy ride, that can last from 2 to 3 hours. Above all, these are the most important things to consider when booking a tour to the Galapagos Islands. 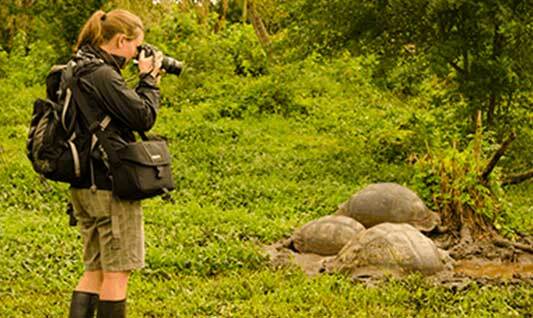 In order to customize your Galapagos trip, so it can fit your budget and your time, it is highly recommended to receive free-online assistance from one of our Ecuador & Galapagos experts.